Chancellor Angela Merkel’s conservatives agreed on climate targets for 2030 with their would-be Social Democrat (SPD) partners, who also announced steady progress on European policy in coalition talks which they aim to conclude within a week. Merkel, weakened after losing votes to the far-right in a September election, is pinning her hopes for a fourth term on a re-run of the ‘grand coalition’ with the SPD to end four months of political limbo in Europe’s biggest economy. After a breakthrough on the contentious issue of family reunions for migrants on Tuesday – although it was overshadowed by a subsequent row over the details – the parties ticked off other, less tricky, issues including climate policy. Reflecting a blueprint deal reached in exploratory talks earlier this month, the parties in effect dropped the previous government’s target to reduce CO2 emissions by 40% by 2020 from 1990 levels. While ‘recognising’ that goal, documents seen by Reuters show the focus is instead on a legally binding 2030 goal to cut emissions by 55% via savings in transport, agriculture, energy and buildings, supported by tax incentives or subsidies. An unexpected intervention on climate policy came from across the Atlantic. Green activist and former Democrat US presidential candidate Al Gore called on the conservatives and Social Democrats to agree to phase out coal by 2030. “This is your moment to lead and help solve the climate crisis,” tweeted Gore. I'm calling on members of @cducsubt & @spdbt in Germany to phase out coal by 2030 in #GroKo talks. This is your moment to lead and help solve the climate crisis. He is likely to be disappointed as the parties have only committed to draw up a plan to phase out coal-generated electricity and set a date for its end, without indicating when. Working groups are wading through the details of the framework deal on policies from Europe to tax and migrants. 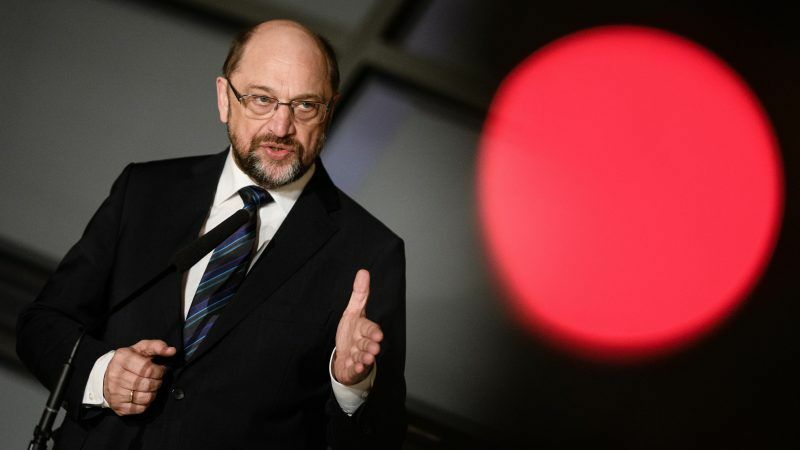 SPD leader Martin Schulz told reporters the two sides were moving nearer on Europe policy immediately before entering talks on the policy area. Giving few details, he said both sides were keen on tackling tax evasion and low-wage competition on a European-wide basis. Earlier, the parties had agreed to cap pension contributions, divided between workers and employers, at 20% of an individual’s salary to 2025, party sources said. The SPD, which failed to win voters with a campaign focused on social justice, had before the election wanted a cap of 21.8% until 2030 from 18.7%. In the blueprint deal, the parties also agreed to stabilise pensions at 48% of the average wage by 2025. The parties have also agreed to keep social security payments to below 40% of gross pay and to give companies the chance to write down digital investments. Late on Tuesday, the parties also agreed on steps to create 8,000 more jobs in the care sector and improve pay. The SPD are pushing for tweaks that will help its leaders sell a final coalition deal to its 440,000 members, many of whom are against joining Merkel’s conservatives again. Any deal will depend on the approval of SPD members who will be balloted after party leaders agree – possibly at the end of the weekend or early next week. 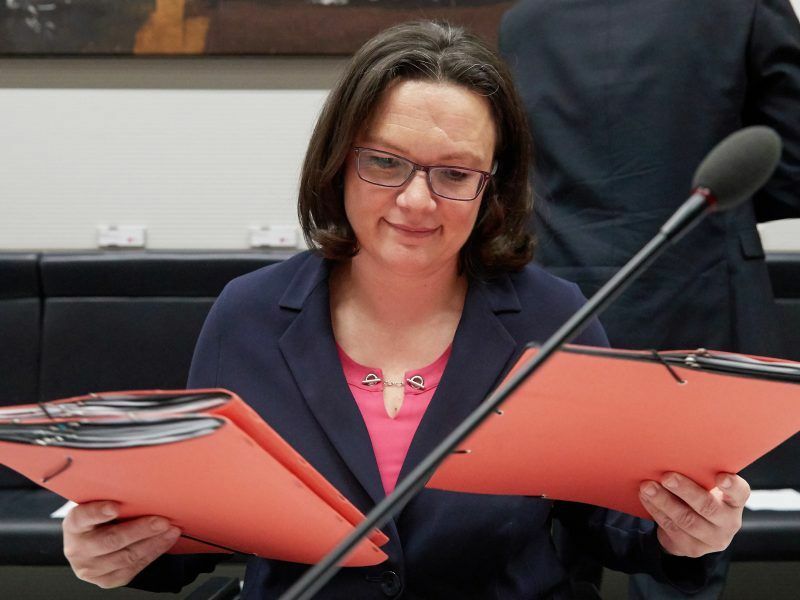 Already, the JUSOS youth wing of the SPD has sharply criticised the deal on family reunions for migrants, saying the SPD leaders had not delivered sufficient improvements from the exploratory talks blueprint. The leader of Germany’s Social Democrats (SPD) played down hopes yesterday (29 January) for swift progress in coalition talks with Chancellor Angela Merkel’s conservatives, an SPD source said, amid continued disagreement over several issues including refugees. “If we don’t succeed in getting more out of the negotiations overall, we must break off talks with the conservatives,” JUSOS leader Kevin Kuehnert told Deutschlandfunk radio.